I am not given to spending a lot of time looking into my rear view mirror as I drive down the road of existence. I was inspired a couple of weeks ago, however, to pause and write down every major mistake I have made in my life to date. I limited the itemization to “domino” mistakes, those being the initial errors that led to others with adverse life-changing consequences. My list had thirteen items when I finished. I’m not going to share all of them with you, but I will reveal the one at the top of the list: I started drinking heavily. I mention this because we are approaching April 1, which, God willing, will mark the completion of my twenty-fourth year of sobriety. Speaking only for myself, sobriety works. Alcoholism doesn’t. I was what one calls a “functioning” alcoholic, which means that I could fool some of the people, including myself, all of the time. That of course did not stop me from doing stupid and terrible things, some of which I have regretted every single subsequent day of my life right up to this moment. On the other hand, every good thing that is presently in my life has occurred as the result of sobriety. It’s second nature to me now, which doesn’t mean that it’s always easy; it just means that 1) many days are much, much easier than some, and 2) every day of sobriety is much, much easier than having that first drink and going back to what I was. I am aware that many people drink modestly, even on a daily basis, without adverse consequence (other than for, perhaps, a regrettable Facebook posting). I am much given to self-deceit and numbered myself among those for over a decade. My initial epiphany took place when I met a gentleman, now deceased, in 1989 who became my best friend. He told me that he was an alcoholic, and that he had been sober for nine years. I thought, “Nine years?! Without a drink?! Wow! I can’t even go nine days without a drink! It’s a good thing I don’t have a problem!” I confess that I found absolutely nothing ironic about that thought until I had been sober for three weeks near the end of April 1991 and the scales began falling from my eyes. I mention this because alcohol and writing and publishing and the like all seem to go together. Many of the great authors of the past drank, and famously so, to varying degrees, from Hemingway to Faulkner to Mailer. Many of the authors of the present, famous and otherwise — and even some reading these words — do as well. Sometimes it can be a problem, one that keeps you from getting where you want to be and becoming who you want to be. My problem was nothing more or less than that punch list of things to do that was so critical at the beginning of the day became much less so when Captain Morgan showed up, sometimes around lunch.” Must do” can quickly become “so what.” You can’t get published that way, or maintain relationships, or handle finances. You can’t really live. That you might enjoy a drink or two on a regular basis doesn’t mean you have a problem. If, however, you think you might have a problem, or you have people in your life who are telling you that you might or do, there is a very insightful twenty question quiz developed by the fine folks at The John Hopkins Hospital and used by The Betty Ford Clinic, among many others, that will give you an idea of where you stand. Answer the questions honestly; what you do with the knowledge is up to you (just so you know, I scored fifteen “yes” answers out of twenty and it still took me two years to get a handle on things). If your honest answers indicate that you have a problem and you want to do something about it without the world knowing about it, talk with your doctor. 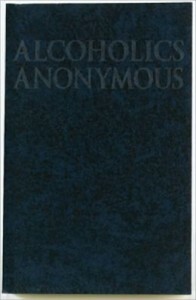 If you’re not ready for that, the Alcoholics Anonymous website will link you to information about meetings in your area. You might be surprised as to the frequency and number of locations within a few miles of you. Each meeting has its own personality; a meeting held in a downtown church on a Sunday night will be much different from one held in a suburb on a Wednesday morning. If you attend a meeting and you don’t seem to fit, keep trying. And if you want to talk, email me. We’ll set it up. If one person with a drinking problem reads these words and begins to turn their life around, then my job is done. And whether I hear about it or not, you’ve made my day. Thank you. 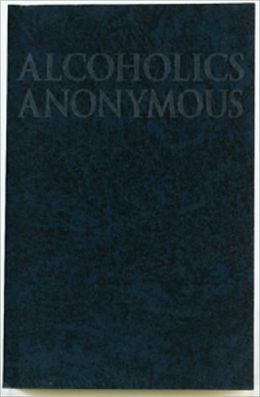 This entry was posted in Writing and tagged Alcoholics Anonymous, Faulkner, Hemingway, Mailer, sobriety, The Betty Ford Clinic, The John Hopkins Hospital by Joe Hartlaub. Bookmark the permalink. My ex and I had a wonderful relationship, we were well-matched in every way, except for one. I thought he had a drinking problem, he disagreed. I wrote three paragraphs and deleted them all. Over two decades ago and it still hurts. Suffice to say, I’m very proud of you for admitting the problem, and then dealing with it. You’re a super-hero in my eyes. Amanda, thank you for your kind words (which I don’t deserve) and for sharing. You brought up an important point: addiction is a dirty bomb. It not only affects the addict, but their loved ones. Al-Anon does great work helping those in the blast radius, and it’s never too late to start the process. You might be surprised at 1) who you see at a meeting and 2) how frighteningly familiar the stories are to your own. Good luck and thanks again. Thanks for sharing your thoughts, Joe. You’re welcome, Richard, and thank you as always for spending part of your weekend with us by stopping by. Very honest and frank, Joe. Congrats on your sobriety and thanks for your personal insight. Thank you, Joe. Much appreciated. Hope all is well with you and yours. I admire your honesty and courage. Hang in there, Joe. Thank you, Mike. Speaking only for myself, courage had little to do with it; I reached the point where I was terrified as to what might happen if I didn’t stop drinking. It was a good decision, borne out of fear. Thanks again. Caring and reaching out to help others in need are the traits of a noble man. A 5 star ranking for you, Joe Harrlaub! Tom, thank you. Those are words I will attempt to live up to. Thanks for your brave post, Joe. I grew up with relatives I never saw sober. One, my uncle, I wasn’t sure was sober even in his coffin. So I avoided drinking and friends who drank while growing up. Then my second marriage was to a beautiful woman who had been married to an alcoholic. Her father and brother had been alcoholics, both dead from the effects. I learned very quickly the horrible ways alcoholism affects a family. Her oldest child, her son, died 7 years ago. Her oldest daughter had to be institutionalized 6 years ago for drug abuse and drinking problems. Her youngest daughter drank socially, but has slowed way down on that, thank goodness. Standing by my wife through all of this for 22 years has been heartbreaking and frustrating. She found help and support in Al-anon over the years, so I second that suggestion. We also found friendship and grace in a good church. Congratulations on your sobriety. I have witnessed the battle but know that I’ll never understand the depth of it. God bless you and yours. and if you are ever in Kansas City, let me know and I’ll treat you to some of the best barbeque on the planet. David, thanks so much for sharing that story. Your wife is extremely fortunate to have you, just as I am so fortunate to have my wife, who I met after maintaining sobriety but has helped me immeasurably since then. Hang in there and God Bless You as well. And thanks so much for reiterating that invite for Kansas City barbeque. I will take you up on that and hopefully not embarrass you! Congratulations on 24 years! Thanks for this post, and calling attention to the problems alcohol can cause. I’m happy for you and your success. I, too, have experienced the “blast radius” to which families are exposed. My late wife struggled with alcohol until her death in 1998. I called those 13 years with her my Dark Ages. And the experience has made me teetotaler. Congratulations on your success, Joe, and for helping others. Your my hero. Honest. I’ve not been drinking. Good morning, Steve, and thanks so much, as always for your kind and heartfelt words. And thank you for sharing. I lived a good deal of my life with an alcoholic and it was like “tap-dancing on a land mine,” in the words of Steven Tyler. You never knew what you were going to come home to. Whenever I’m tempted to fall off of the wagon so to speak I think of those days and close the door on the thought. Thank you again for stopping by, Steve. God Bless and have a great weekend. An alcoholic family member was sober for over 30 years before going back to the drink. Very sad. A warm friendly human being transformed into an ugly and mean one right in front of my eyes. I talked to him about his drinking, he got loud and uglier, I left it alone, let him be. Hard if not impossible to get through to someone who wants to drink though it causes them harm. Haven’t spoken to my brother in seven years. Good luck to you, Joe. MG, thank you for your good wishes and for sharing your story. It illustrates a couple of hard truths. One is that for an alcoholic, it’s very easy to pick up where you left off. Complacency is an enemy. The other is that ultimately the person so afflicted has to want to change. No one else can do it for them. I’m sorry that you’re going through this and I hope that your brother at some point realizes what he is missing in his lost relationship with you and turns things around. Thanks again for sharing and good luck. Between me and you, he ain’t missing much. Thank you so much for sharing your story, Joe! Wanted to mention that there is also a drug available, Naltrexone, not widely prescribed in the US, which reduces the cravings for alcohol. It’s not a substitute for a recovery program, but it is another tool available for people who want to drink less, or not drink at all. Thank you so much, Kathryn. I’ve heard of Naltrexone, and just as you said, it’s a component of a recovery program and not a substitute. I’m glad you mentioned it as traditional recovery programs don’t work for everyone and this may be the key to helping those so afflicted. Thanks again. Thank you for sharing, Joe. My ex-husband was an alcoholic. I lived with it for as long as I could, which was not as long as most. He hid it from me, or maybe I refused to recognize it. We lived together for about a year before I married him. He was also a functioning alcoholic, and I suppose I didn’t think of him as such because he worked and seemed normal. The second year, the gloves came off. He lost his job and hung out in the bars and was always drinking, even in the morning. Never the hard stuff, only beer. The result was the same. When he backed me up against the refrigerator and slammed his fist into it and leaving a huge dent, alongside my head, and told me the next time it would be my head—well, that is when I got out. A restraining order that day and filed for divorce the next day. The thing is, when he was working, I would drink with him sometimes. I know this about myself: I have an addictive personality if I let myself. I used to smoke 3 packs a day and had a very bad gambling habit. I overcame both, and I live in Las Vegas. It’s amazing that I never developed a drinking problem. I am pretty much a teetotaler myself. If I did have a drink, I could go for years without another. So, I did dodge a bullet. I admire you for your sobriety and thank you for sharing your story. Thank you for sharing your story Rebecca, it’s certainly a cautionary tale. I never understood gambling as an addiction, but I’ve had friends lose everything to it. Addictions come in many forms and have many faces. Thanks for contributing. I’m the kind of guy who buys a six pack to watch the Super Bowl, and in October or November finally uses the last one in a pot of chili. But I’m always mindful of the family story of when my mother mom told dad her father had drunk himself to death. “I never saw him drunk,” dad said. “You never saw him sober,” she replied. I suspect it’s always possible to fall into. Those are two great stories, John, and I really appreciate you sharing them, particularly the one about your maternal grandfather and the repartee between your mother and father. Perceptions…they are amazing. Thanks for stopping by and contributing. Congratulations on 24 years of sobriety. That is awesome. While I may not personally deal with alcoholism, there are many forms of addiction, and none of us can claim to be insulated from its pull, no matter what form it takes. May we all see the value in ourselves, and likewise have care enough for loved ones around us, to make good decisions for every day we have left to live. Thank you Brenda. You raise several excellent points, including the many forms of addiction and seeing the value in ourselves and others. Each day is a blessing that we will never get back and they are too valuable to waste. Thank you for contributing and for your kind words. Congratulations on your 24th anniversary, Joe. Thank you for sharing this, Joe. Luckily, I’m not affected (some people think I’m a teetotaller), but my first husband was, plus my extended family counts many alcoholics. My parents taught me to have a healthy respect for alcohol. Years ago, I was asked by the local AA to host a TV program about alcoholics and their families. They needed someone like me due to the principle of anonymity. It amazed me that so many people did not know about the fine work of AA and Al-Anon. Years before that, in law school, I was chatting with fellow students and the topic was alcohol. Can’t remember why, but when I commented that many people were highly functioning alcoholics and that our society seemed to tolerate behavior that made it difficult for people to realize they had a problem, there was a chorus of vociferous denials. Hmmm. I wondered about the drinking habits of each of those deniers.. Recently a friend had to fire her personal chef due to his alcoholism. His drinking made him unreliable, and his unreliability made her feel very insecure (she’s blind. )This sweet guy is an extremely talented chef and artist, with a heart that knows no limits. I asked him if he’d ever tried AA. He hadn’t but said he was willing, so I put him in contact with a local member. I’m afraid to ask if he still is. I hope so. Thank you Sheryl. Just for the record, I think your comments to your fellow law school students were spot on. Tying one on after class, and after working hours, is more or less expected behavior. My own problem initially developed in law school and took off from there. Here in Ohio we have to take .5 hours of CLE in substance abuse education every two years. We’ve got a growing problem of suicide among attorneys — particularly those in solo practice — and there’s been a direct correlation to substance abuse among those afflicted. As for “There but for the grace of God…”…absolutely. Thank you for the reminder. Thank you, Joe. This was a very powerful post that touches a nerve. There have a large number of alcoholics in my extended family (past tense purposeful) and although I occasionally drink socially, there has always been this little fear in the back of my brain that I could, if I didn’t pay attention, go down the same path as my relatives. I was introduced to the negative side at the tender age of five when taken to adult parties because there wasn’t a baby-sitter. The sight of a roomful of drunken adults, loud and stumbling and not always keeping their dinner down has been a deterrent whose effects have lasted for decades…I didn’t even go to parties as a teenager as a result. I have had to reframe some things in my mind, and with this reframing my definition of party now is quite different from that early introduction and I can enjoy them again. It is a difficult subject. Thank you for opening it up for sharing. Julie, you’re welcome, and thank you for your kind words and for sharing. The questionnaire I linked to in my post is a good one for social/occasional drinkers who think that they might be sliding into a problem. I’m glad, however, that you can enjoy parties again. It took me a while before I could do that. Thanks again.